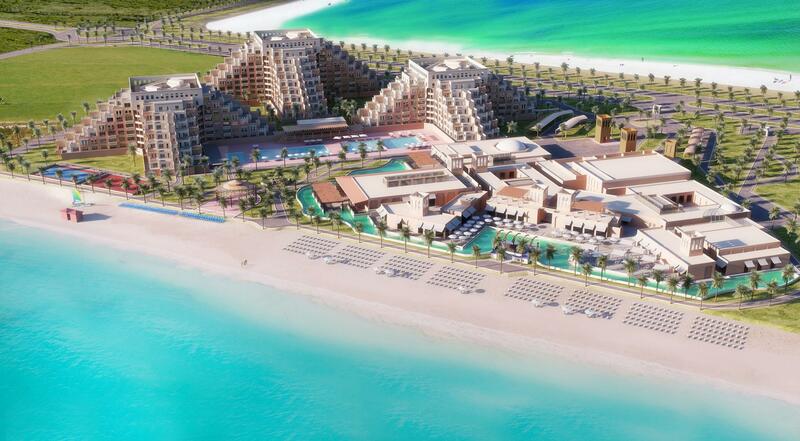 This is a bird's eye view of Rixos Bab Al Bahr Resort in Al Marjan Island, Ras Al Khaimah 14744, United Arab Emirates. The client needed a 3D model. It did not have to be accurate. But as good as it can serve the purpose of the client. The entire site 3D model was developed from a rough drawing and reference photos.